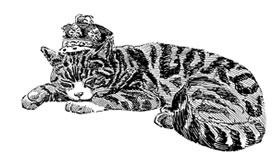 Prince Leopold. a hemophiliac, married Princess Helen of Waldeck und Pyrmont in April 1882. The following February, the Duchess of Albany, gave birth to a daughter, Princess Alice. Prince Leopold was in Cannes for his health in March 1884, when he slipped and fell, hurting his knee. He died on March 28, leaving behind a year old daughter and a young widow, who was five months pregnant with their second child. Charles Edward was born posthumously four months after Leopold's death, He succeeded to birth to Leopold's peerages, and was the 2nd Duke of Albany. The two young Albany children were raised to be loyal members of the British royal family. Alice and Charlie were firm favorites of their grandmother, Queen Victoria. The decision was made for the young man, No say. But it was a decision that was made for him, and it was a decision that would change his life. The Duchess of Albany noted that she would have to turn her very English son into a good German. The Duke of Saxe Coburg and Gotha died in August 1900. Charlie was the new duke, although he was a minor, and would reign under a regency until his 21st birth in July 1905, when he reached his majority, Shortly afterward, he married Princess Viktoria Adelheid of Schleswig-Holstein, a niece of Empress Auguste Viktoria, The marriage was arranged by Wilhelm II. Alice and Charlie remained close, although their lives diverted after Charlie succeeded in Coburg. In 1904, Alice married Prince Alexander of Teck, a brother of the Princess of Wales. Close family connections. Alice's first cousin, the future George V, was also now her brother-in-law. As Charlie settled into marriage, fatherhood, and the duties as Duke of Saxe-Coburg and Gotha, Alice and her husband became active members of the British royal family, representing the Crown at home and abroad. The book also focuses on many of Alice and Charlie's descendants. Alice and Alexander, who was created Earl of Athlone in 1917 after giving up his German titles, had three children, two sons, Rupert, a hemophiliac, who died at age 20, and Maurice (who lived for only a few months) and Lady May who married Henry Abel Smith. Charlie was the father of three sons, Johann Leopold, Hubertus, and Friedrich Josias and two daughters, Sibylla and Caroline Mathilde. 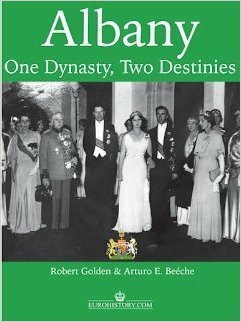 This book, as the frontispiece proclaims, a "photographic history of the descendants of TRH The Duke and Duchess of Albany." Although most of the photos come from Arturo Beeche's magnificent royal photograph archives, many of the photos of Alice's descendants were provided by Robert Golden. It is nice to see a varied selection of photos Lady May's three children - their weddings and their growing families. The Wise marriage ended soon after Emma's death. A true tragedy. The chapters on Charlie and his children are well-written and documented with more photographs, many previously unpublished. Far less detail (text and photos) on Charlie's eldest son, Johann Leopold's whose morganatic marriage led to losing his right of succession and inheritance of the estate, and his younger daughter, the thrice married Caroline Mathilde. Most of Calma's descendants live in the US, with nary a mention. Quibble aside, I can recommend Albany One Dynasty, Two Destinies, with some reservation, as I quietly vent that the text could have been better if the authors had included all of the descendants. This could have been easily accomplished with several sentences, and this would have made the book inclusive and a bit more comprehensive. The purchasers of this book will be more interested in the photos -- and let me add that the photo selection is outstanding -- but one final vent: it would not have been difficult to include citations or footnotes for the quotes as well as a bibliography of source material consulted. The easiest way to purchase the book is through Amazon, as there are only a limited number of bookstores that carry Eurohistory's titles. Antony Armstrong-Jones, 1st Earl of Snowdon, has died at his home in London. He was 86 years old. Here is a selection of books about and by him. Lord Snowdon was one of the great photographers of the 20th Century.